connects a Macintosh OS X machine to a Windows server running Active Directory. MSAD Login is a system that connects a Macintosh OS X machine to a Windows server running Active Directory. If you use your Macintosh in a Windows environment that has a Windows server, MSAD Login can connect to that server allowing you to mount your home drive and get notifications when passwords are about to expire. MSAD Login's method of logging into a Windows network is very different from the specified method documented by Apple in that accounts are not tied to the server, this means that when you are not connected to the network (e.g. when you are using a PowerBook on the road) you can still log into your local account and access all your files. Another benefit of MSAD Login is if you accidentally type in the wrong password, you will not be instantly locked out of your Windows account (and your Macintosh), which will help keep network administrators happy and save you the hassle of requesting your account to be unlocked. The major benefit for network administrators, is that no changes are needed in the Active Directory schema to support the Macintosh account. When the MSAD Login system is installed, it can also keep the local password in sync with the server, this means that when the password is changed using another computer, you will be informed that the local password needs updating. When the local password is changed to the same as the network password, the default keychain password is also changed, removing the need to manually set the keychain password. The system can also use accounts that do not expire, such as administrators accounts. Your local Macintosh account will still be accessable even if you are not connected to the network. You will not be locked out of your account after just one incorrect password (which is the case when using Directory Services). The account and password for the Macintosh can be different to the network account and password. You can easily change your network and local password. Shows alerts when your password is about to expire or within fourteen days of expiry (or even if it has expired). No changes are needed on the Windows server. No hassle mounting with the share menu. One of the most useful features of MSAD Login is the share menu (status bar menu) that can be used to easily mount shares. The share menu shows each share using full length names and is not limited to fourteen characters, removing the need to have special Macintosh share names. The menu provided by MSAD Login Professional allows you to mount shares held on the Windows server by just selecting a menu item. All the servers shares can be listed with full names and descriptions. When you are not connected to the network or the server is offline, the menu has the ability to show that the connection has failed and will update if the server comes back online, saving the need to keep checking. With the favourite shares section, the menu can be set to show only those shares which are of concern to you, or if preferred, all of the shares can be displayed in the menu. For when the shares are not shown in the menu, selecting the connection menu allows you to display a list of available shares, mount your home drive and test/update the connection. In addition there is a menu section which shows the recent shares that have been mounted, allowing quick access to frequent shares without the need to create favourites. The shares window allows you to view all the available shares on the server with full names and descriptions. Shares can be easily mounted by selecting the item and clicking the mount button. As the system constantly checks the server for password expiry, if you sleep your computer you will not have your account locked out when it is woken up. When passwords are about to expire (usually around every 45 days), notifications are given down to the last second. The checks have the added advantage that when new shares become available the menu can reflect the changes. The options system preference page allows changes to the way MSAD Login Professional functions e.g. the Update menu sets how often the server is checked for connection problems and share updates. The mounting system even has the ability to use CIFS (Common Internet File System) if it is available so that you can benefit from using systems like DAVE, and even if this fails, SMBFS (Server Message Block File System) will be used. The account system preferences page allows you to change your password on the server, it can also automatically change your local password and default keychain password. You can also change the local password hint saving the need to go into the Macintosh Accounts system preference page. Connects a Macintosh running OS X to a Windows server running Active Directory. Allows OS X users users to mount their home drive. Receive notifications when passwords are about to expire. Receive account status alerts, such as when your account has been locked out. 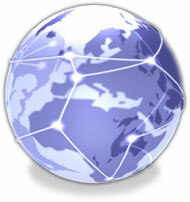 Local accounts are not tied to the server and can be different to the network account. When not connected to the network you can still log into your computer, which is of particular use for PowerBooks. No changes are needed in the Active Directory schema. Allows passwords to be changed on both the server and the Macintosh. No local changes are required. Can update the local account and default Keychain password. A share menu (status bar menu) that can be used to easily mount shares. The share menu shows each share using full length names and is not limited to fourteen characters. System preferences for configuring the menu and changing account details e.g. the current password. Kerberos ticket support to save the need to enter user names and passwords for network systems such as intranets. TLS support for encrypted only Active Directory access. The application will expire after 30 days or 20 mounted shares, whichever comes first. * Changed the main helper to use a newer Samba for improved connections. * Fixed issues under Mountain Lion and Gatekeeper. * Added support for true Kerberos ticket support. * Added support for clustered shares. * Fixed a TLS issue and provided optional support. * Added support for listing shares not part of the logon server. * Added support for pausing connections in the menu. * Added starting and stopping in the preferences. * Fixed a Unicode share name issue.